With Instagram taking the world by storm, and subsequently selling to Facebook for $1 billion, the question on everyone’s minds has been who will be able to do the same thing with video? Twitter’s been thinking this through for a while, proven by the acquisition of video-sharing app Vine in October. The app isn’t built directly into Twitter, but rather acts as a standalone app. It integrates with Twitter in the same way that Instagram does, except that Vine never turned off permissions randomly, meaning that Vine videos can be embedded directly in tweets, showing up in followers’ streams. Vine videos can also show up in a separate Vine web page, like this one. If you want to share your Vine on Tumblr, one of the easiest ways is to just upload it directly to your Tumblr from your iOS device using Tumblr’s app. 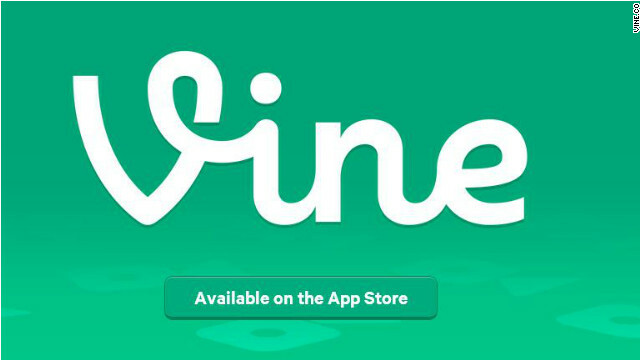 Vine videos shared this way will just play through once rather than loop. To get that looped effect, you can import the video clip into your favorite mobile video editor (Splice is a good example, but there are many others) and copy it several times, laying the copies down on the timeline, one after another. Once you’ve reached your desired length, export the video and upload it just as you would a traditional video through Tumblr. The darker a country, the happier its inhabitants. Well did you know Happy Planet Index (HPI) is an index of human well-being and environmental impact that was introduced by the New Economics Foundation (NEF) in July 2006. The index is designed to challenge well-established indices of countries’ development, such as Gross Domestic Product (GDP) and the Human Development Index(HDI), which are seen as not taking sustainability into account. In particular, GDP is seen as inappropriate, as the usual ultimate aim of most people is not to be rich, but to be happy and healthy. Furthermore, it is believed that the notion of sustainable development requires a measure of the environmental costs of pursuing those goals. Huawei sought to stand out from the pack at CES with the Ascend P1 S, which is billed as the “world’s slimmest smartphone” at 6.68 mm and the Ascend D2 smartphone, which sports a 6.2-inch screen. That not all there are big plans by huawei on cheap and efficient smartphones produce across the globe starting from 2013. Haier, another conglomerate that makes everything from mobile phones to washing machines, showcased a vision-control system for TVs at CES that lets you adjust the volume and browse a news feed with your eyes. Again some big plans in US to produce cheap consumer durable electronics. Small name but will make a big impact soon, Hisense has been established globally since 2001 and makes TVs, refrigerators, freezers and air conditioners, among other products. Since 2007, it has achieved 30% annual growth. In 2012, the company posted $2 billion in sales. By 2015, it aims to achieve a total of $5 billion in sales. At CES, Hisense got attention by showing off a 110-inch ultra HD TV, a Smart TV controlled by gestures and voice and a glasses-free 3D TV. The company also have big plans on Android phones. Lets see how this works out..
On January 7, Qualcomm CEO Dr. Paul Jacobs will kick off the 2013 Consumer Electronics Show by delivering the pre-show keynote. He’ll talk about how mobile is transforming experiences and industries making us all “born mobile.” Check out this video for a sneak peek of his highly-anticipated speech including details of a famous musical guest.